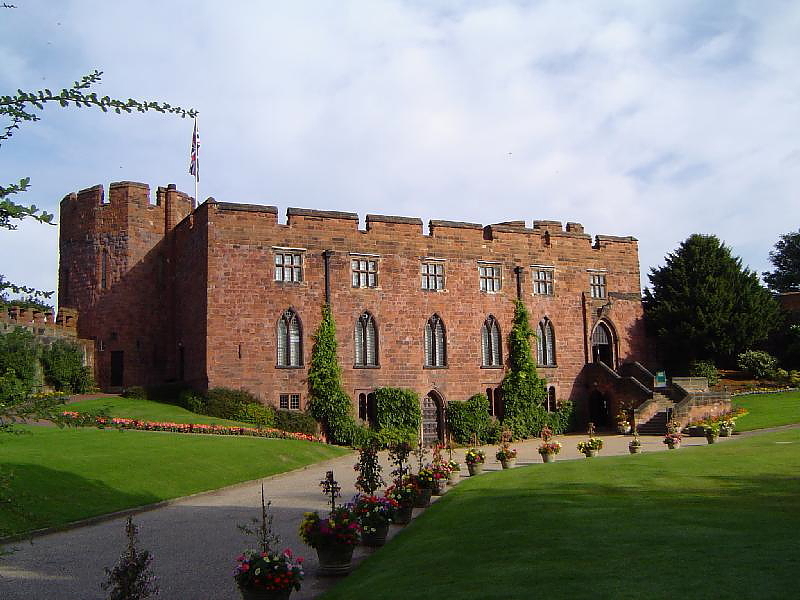 Shrewsbury Castle was originally an Anglo-Saxon timber fortification, guarding the only dry-shod approach to the town. The Norman castle, built of red sandstone, was founded by Roger de Montgomery in c1070. During Summer 1138 King Stephen laid siege and captured the fortress, which was held by William FitzAlan for the Empress Maud. Apart from the gateway, very little of the Norman building survives. Much of it was demolished during the rebuilding and strengthening of the castle by Edward I in c1300, when an outer bailey was also added. It was never used as a fortress after this date, and over the centuries was allowed to fall into disrepair. Elizabeth I gave the castle to the bailiffs and burgesses of Shrewsbury in 1586, and little was done to the building until the Civil War, when further alterations were made. It was captured by the Parliamentarians in 1645, and it was not until 1660, when Charles II was restored to the throne, that it was surrendered to the Crown. The king granted the castle to Sir Francis Newport of High Ercall, Shropshire in 1663, and it remained in private hands until 1924, when it was acquired by the Corporation of Shrewsbury. It was restored as much as possible to its Edwardian condition and opened to the public in 1926. It now houses the Shropshire Regimental Museum. Robin Whiteman, The Cadfael Companion, Mysterious Press, 1995.